We may have found the perfect decorative pillows for sofa and play. Most people have their throw pillows that are strictly for decor. The kids are forbidden to play with them, and the adults are advised to remove them before sitting. 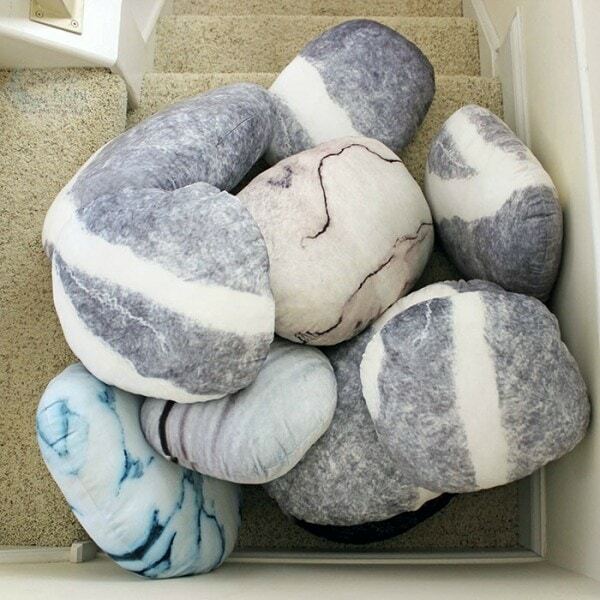 Well, Pebble Pillows are not only beautiful to look at, but they are fun for imaginative play, as well. We received Pebble Pillows to facilitate this post, and this post contains affiliate links. Shelley and I were both extremely excited about Pebble Pillows. However, neither of us have a house that would do them justice. 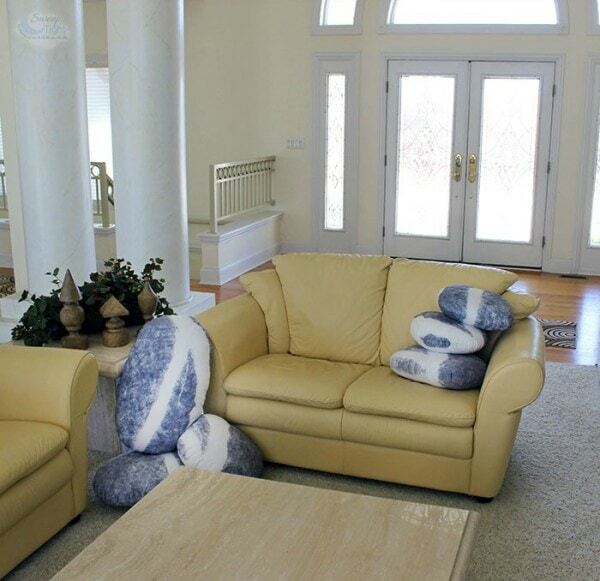 We took the vacuum-packed package of Pebble Pillows over to my Grandparents’ house for photos. They have a gorgeous home that’s perfect for Pebble Pillows. Day one consisted of simply unboxing– unbagging rather –the package. Even after we were told that the package would be way smaller than the pillows, it was still pretty shocking to see how true that turned out to be. It takes the pillows about three days to fill out to their appropriate size, so we left the pillows there to return later. Three days later the Pebble Pillows did not disappoint. They were right where we left them, only fuller, and more stone-like. Although they look like rocks, they are as soft as can be. The cuddliest rocks I ever did see. 😉 A few of the pillows needed a little kneading to get them into the right shape, but overall, they looked great. Now this is where Shelley and I wanted to get creative. We didn’t have any kids with us, nor did we need them to have a blast on our own. Pretend campout? Yep, let’s grab Gram’s fake fire Halloween decoration. Imaginary rockslide? Yep, you better run, sister, cause the rocks are tumbling. Meanwhile, my Gram thought the Pebble Pillows would make perfect decorative pillows for sofa and other areas around the house. 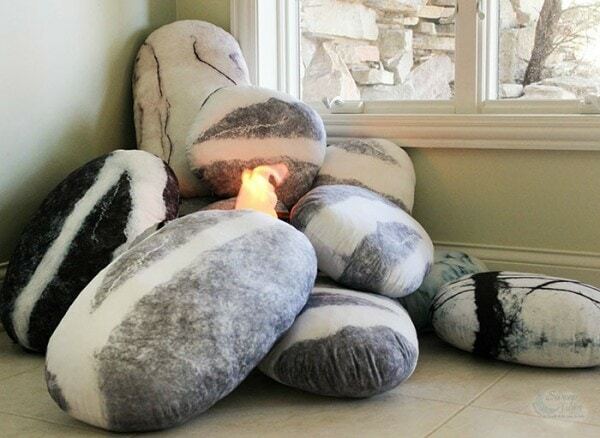 What’s so neat about these pillows that look like rocks is that they really are pretty. My Grandparents have lots of grandkids and even great-grandkids, so there are plenty of toys around. 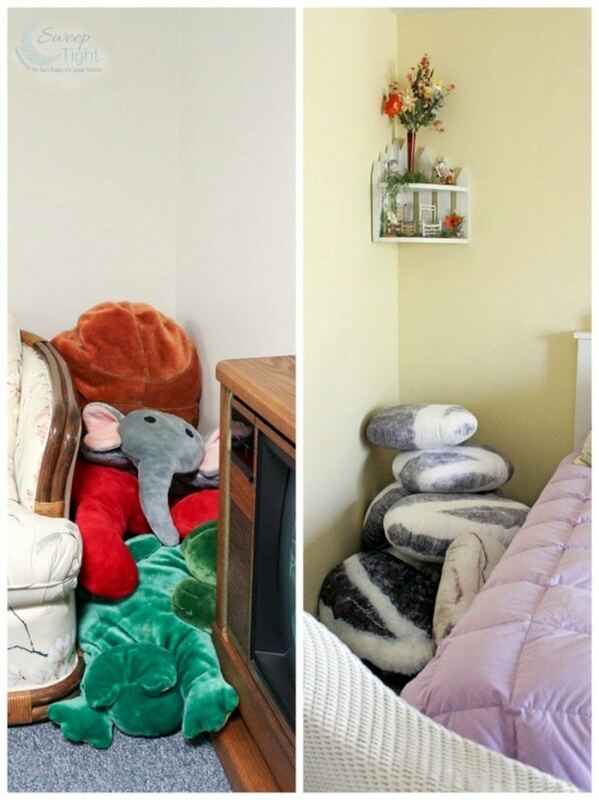 Don’t the Pebble Pillows look a lot better in the corner than the other stuffed toys? They are pillows you want on display, not tossed in a playroom and out of sight, and they are lots of fun! The good kind of fun where imaginations are encouraged to grow. Pile all the pillows into a cozy reading spot, take a nap, or just relax. As I child I loved stuffed animals, pillows, and anything soft and cuddly. That’s one thing I have never outgrown. I would completely load my room with stuffed animals and pillows if I knew they would stay clean and intact with my dogs. 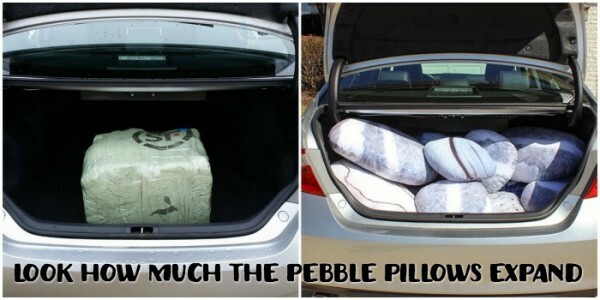 Pebble Pillows are machine washable so no need to worry about them getting dusty or dirty. 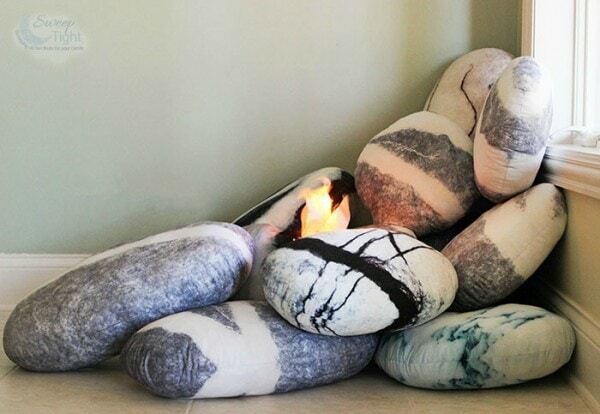 Pebble Pillows has more than just stone pillows. They also have planets, logs, and other unique comfy contraptions. I think people of all ages can enjoy Pebble Pillows. 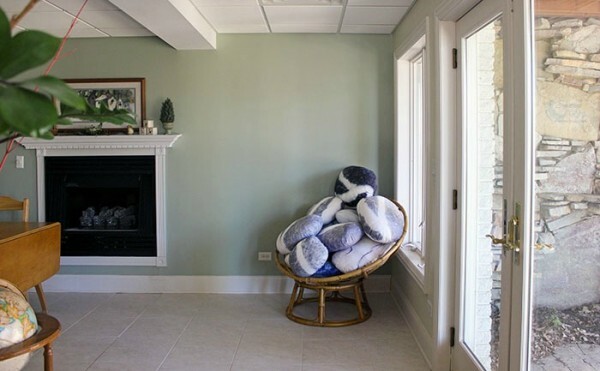 Families who homeschool, nature-lovers, and those who enjoy a touch of whimsy in their home decor can all appreciate Pebble Pillows. Decorative pillows for sofa or play? 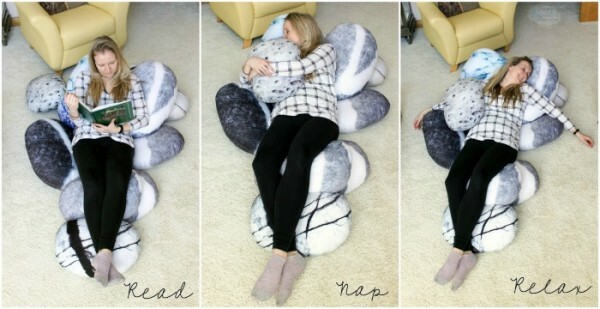 What do you think about Pebble Pillows? 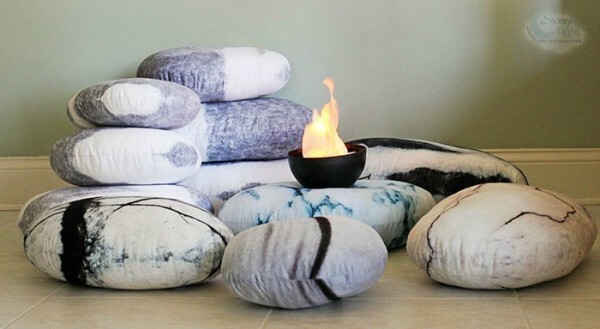 These pillows are so unique, would love to have them. I know a friend that would love these pillows. She loves the outdoor look inside. I think she would have as much fun as you did in these pictures. I love these! They go well with any decor. 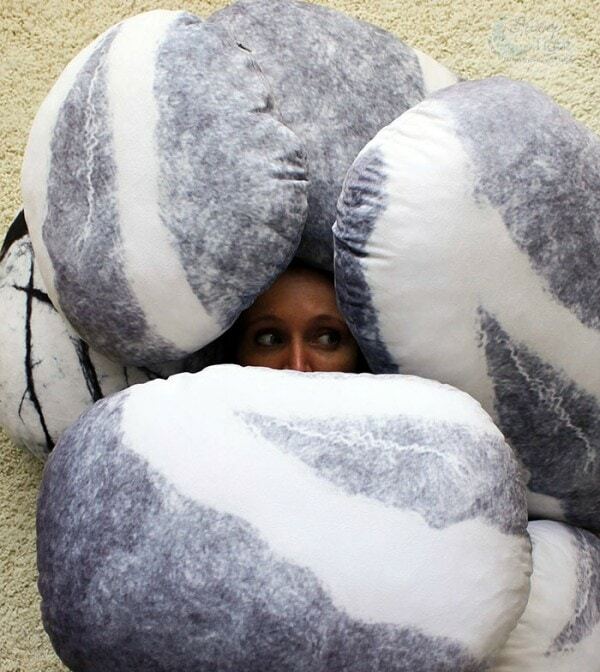 These pillows look so comfy! My kids love playing with pillows and these would be perfect for our movie nights too. I love quirky decor like this and it looks like you really had a blast! When I was young I dreamed of having a house with a room with a pit in the floor (Think empty pool or ball pit) full of pillows. This seems pretty close! Oh my goodness, I love fun, decorative pillows like those. They look awesome… They would be perfect for the kids to use for hide and seek. LOL. Thanks so much for sharing. How cool are these?! They’re different and would add some fun to my son’s room. Not to mention he loves jumping off the couch onto pillows so I imagine him pretending he’s cliff jumping. Those are so much fun. I think I’d love to use them in a nature-themed kid’s room. Love that there are so many fun uses for them. They are great for decor or play. I love how they look and I really love the earth pillow. These would be really nice for my nieces’ playroom. I know I would enjoy playing with them. I love these pillows. 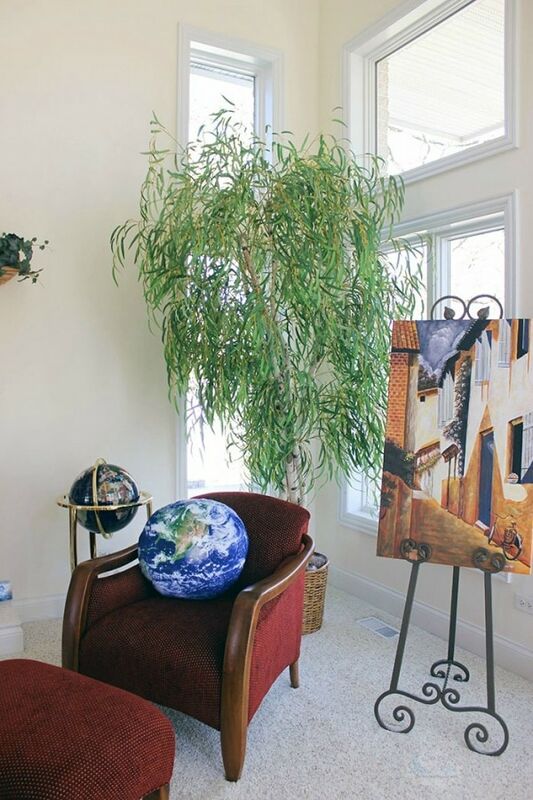 The earth pillow is really cool. 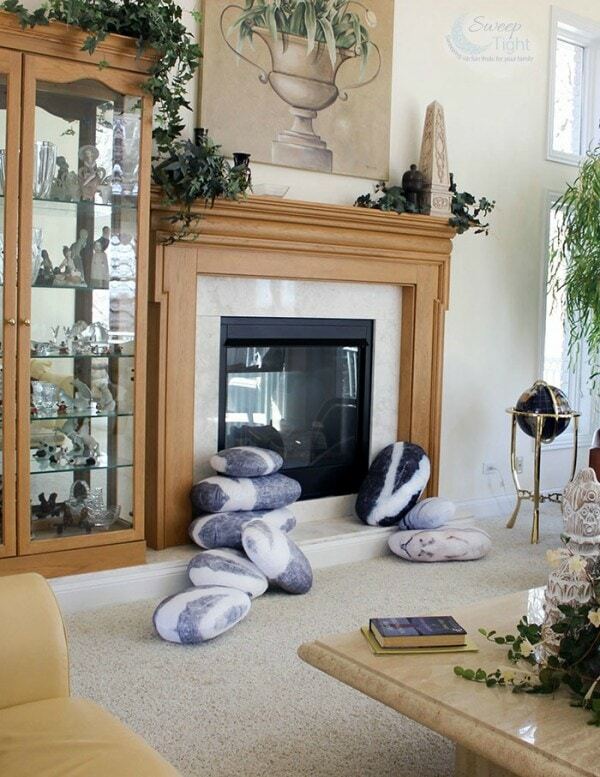 I would love the pebble pillows in my living room. Those pillows are awesome! I would love to get some of those for my house. I really like the pebble ones. They’re so neat! 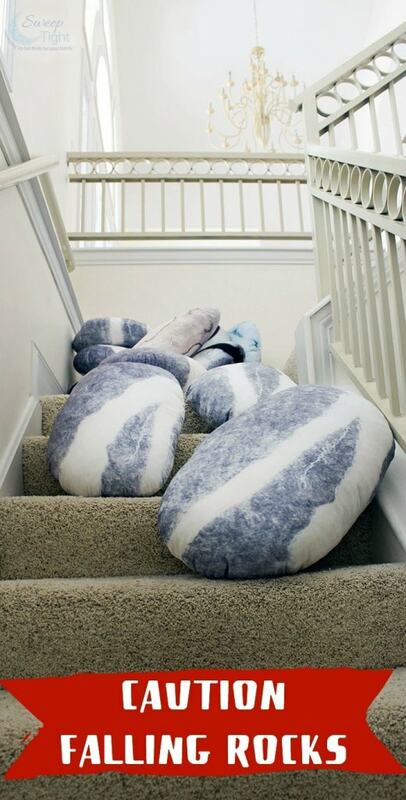 These are really cute pillows! They add a lot of character to a room! It’s so cute! I want to win this giveaway! It looks like a real rock. I have been a rock collector ever since I was able to walk and stuff them in my pockets lol 🙂 Remember pet rocks? I had many and gave each one a name ? This would be an amazing set of rocks to add to my collection ??? I see a pillow fight in the future! Those are too much fun, and wow did they expand! I need these for my back.